A simple homecooked lunch for me today. A simple tuna spaghetti I do so truly enjoy to pieces but my eldest daughter shy away from it because it's tuna and my beloved hubby declare it unappetizing to look at. 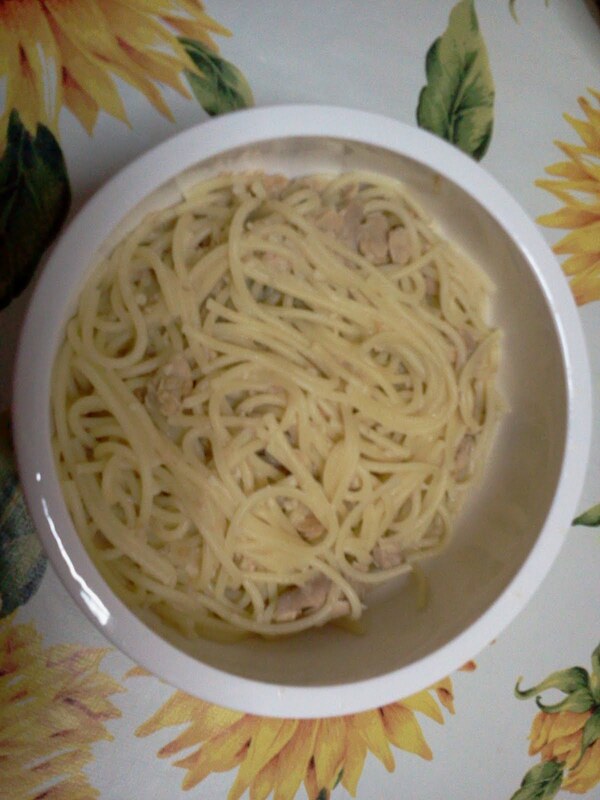 Just cooked with garlic, canned tuna with olive oil, olive oil, anchovy stock. . . And the taste is heavenly to my palate. Healthy too. .